I spent part of a glorious Sunday afternoon this weekend sitting in an unusual place (for me) : a pew at the Sainte-Agathe-des-Monts church in the Laurentians. Curiosity had led me there. While I’d sat through countless Sunday masses as a child, this was the first time I would witness the ordination of a priest. The whole process was very fraternal (emphasis mine). The novice, the Bishop and dozens of priests were led into the packed church by a plumed and caped group of older men I knew to be Knights of Columbus. While I’d never seen these men in full regalia, I knew immediately by their demeanor and costume who they were. For the uninitiated, the Knights of Columbus is the world’s largest Catholic fraternal service organisation. Akin to Fred Flintstone’s Loyal Order of Water Buffaloes, if you will. As I cursed myself for not having a fully charged iPhone with me for live tweeting and TwitPics, I sat back and reflected on the community I was observing before me. My mind eventually – inevitably – turned to social networking. Yes, I see everything (not really, but anyway), even the ordination of a priest, through a web 2.0 lens. I call it 2.0/2.0 vision. I was watching a tribe in action. Two communities of men (the Knights, the priests) – mostly of an older generation – sharing similar values, a similar belief system and a relationship which is mutually beneficial. It’s not a stretch to imagine that members of the Sainte-Agathe chapter of the Knights of Columbus help one another and even refer business to one another. This is what we do when we’re part of a group of like-minded people. We refer people to those we know and we help other members of our tribe when we can. Business groups are the same. On Facebook a few minutes ago, my cousin Dermot, an Irish photographer, shared a Sunday Times article in which he’s featured. In the interview, he credits part of his business development success to Business Network International (BNI), an organisation that brings business owners from different disciplines together into a single group whose members refer their personal and professional contacts to one another. Social networks, like LinkedIn, step in to provide a virtual way to cultivate and maintain business links. Today, I received a note from a colleague from a dozen or more years ago who is now a real estate agent looking for business. Would I know anyone in the market for a house? I might decide to go out on the limb for him for any of a number of reasons — because I like him, because I see an opportunity for myself, or just because I’m nice. I’m not likely to do it, however, if I don’t perceive him to be a member of my tribe. No matter what form our business networking takes, the glue that holds it all together is the concept of tribe. As we build our LinkedIn profiles, join Facebook discussion groups or join a hashtag-ed discussion on Twitter, we’d all be wise not to lose sight of the fact that human relationships remain at the cornerstone of it all. Publié le 2010.05.31 sous la rubrique Médias sociaux / Social media et Varia. chevaliers de colomb, communications, facebook, knights of columbus, linkedin, michelle sullivan, Montéal, montréal, pr, québec, relations publiques, Sainte-Agathe, sainte-agathe-des-monts, twitter. Cute. I find myself immersed in this space daily as well. So when I’m out and about, I’m always wondering how I can share the moment that I’m in with my network (what they might find interesting, etc.). I analyze things through my web 2.0 lens so-to-speak. I think that social networks (and how we behave, connect, maintain relationships, etc.) present an opportunity to connect with a larger audience at a much quicker pace. It provides an opportunity (for us) to get people to know, like and trust us if we engage with them in a sincere way…if we connect over like-interests much like we would in real life. Nothings different about how we communicate, just the medium is different. Anyway, pleasure to meet you! I believe our thinking is similar on the topic. Thanks Michelle. I’m stuck back at you in a pew at church, Michelle!? 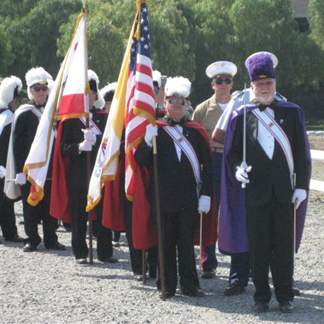 My only question: How do I join the Knights of Columbus?